Do you find that you have people in your life that appreciate humorous cards? 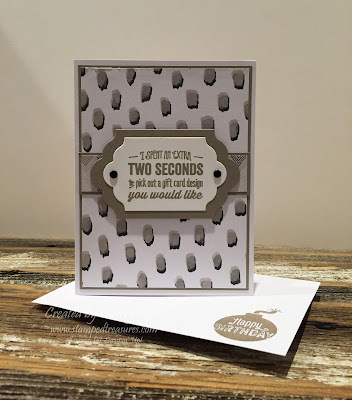 There are a few stamps sets that you can find in the main Stampin' Up! 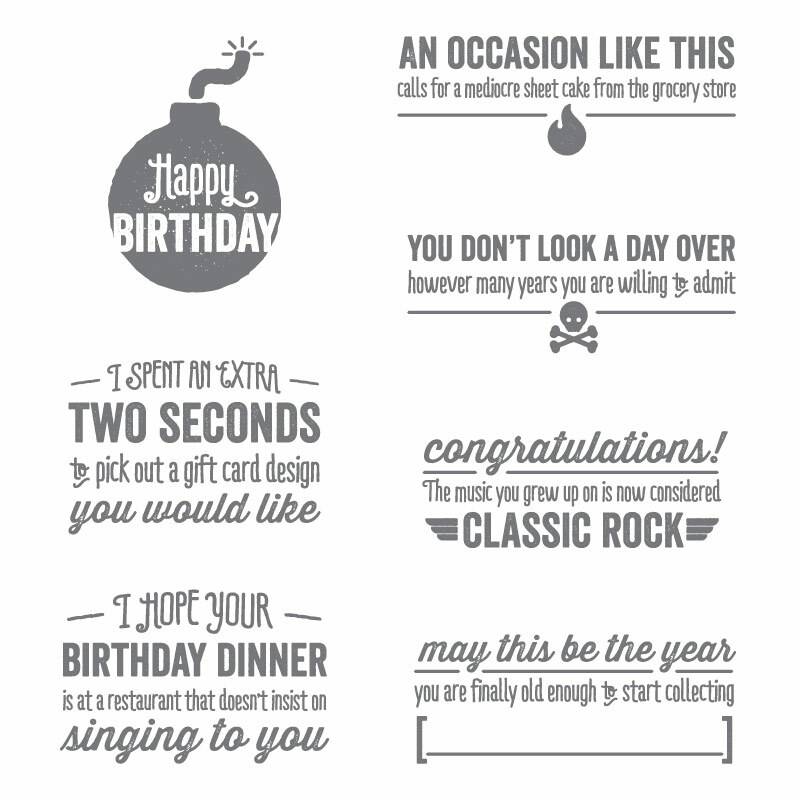 catalogue that you can use to make funny cards but one that isn't pictured in the catalogue is the Bombs Away Birthday set (on sale right now for 30% off!). 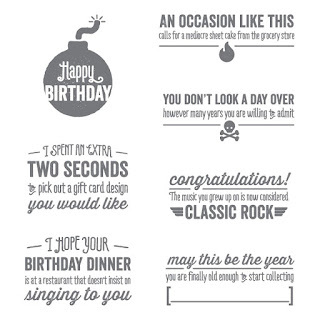 These catchy, unique sayings are bound to make the receiver smile! I decided to pull out my Go Wild paper stack and create something with this set. I ended up using the same layout but creating two different looks - one for him and one for her. 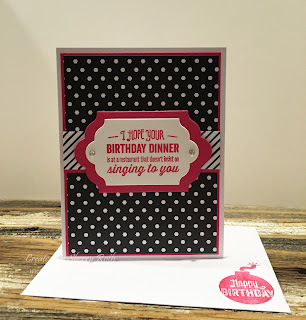 It's amazing that by simply switching out the patterned paper and accent colors, how different of a look you can get! 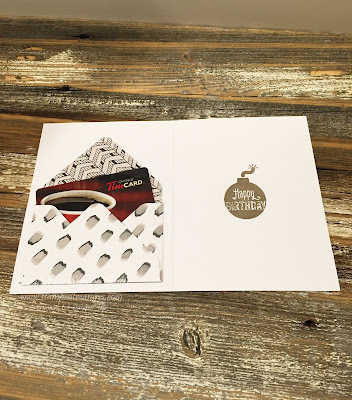 Because this second greeting is intended for a gift card, I used my envelope punch board to create a little gift card pocket for the inside of the card. 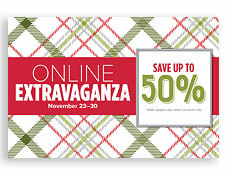 Don't forget to check out the Online Extravaganza! 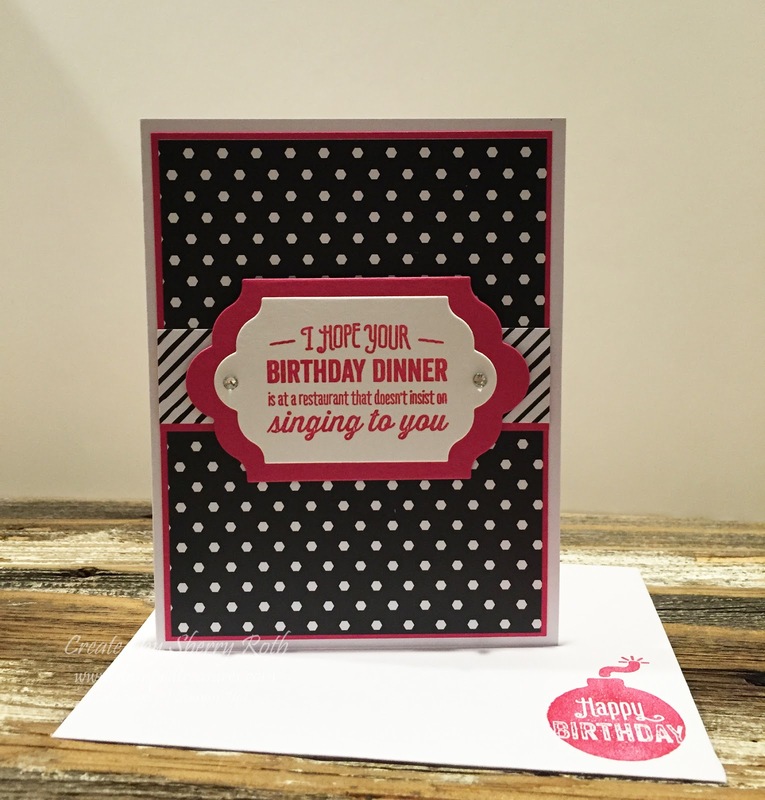 Place your orders online and use hostess code 2DMYKD93 to receive a free tutorial (see details below).